Felix, a tragic orphan, is expelled from school, cast out onto the British high street, and forced to make his way in the cut-throat world of wine retail. Thanks to a positive mental attitude, he is soon forging a promising career, his sensual adventures taking him to the vineyards of Italy, South Africa, Bulgaria and Kent. Peter Stafford-Bow, 43, is a wine and supermarket executive based in London. He has twenty years’ experience in the international wine trade and has worked for some of the largest retail chains in the world, in the UK and abroad. Corkscrew is his first novel. Pure entertainment! Very witty, imaginative and lively. Tom Sharpe with added wine. Very funny. Genuinely snorted and guffawed out loud. Very humorous and well written, extremely entaining especially for those that work in the industry. Well done and a thumbs up and highly recommended! I could not put it down. Pure entertainment! A great, thoroughly enjoyable read… such a fun insight our crazy industry! A right rollicking read, haven’t enjoyed a book so much in ages! Very amusing account of a supermarket buyer operating without the need of scruples. Must be true! Fabulously funny! And an interesecting insight into the wine buying world. Must read. Very, very funny. Some classic lines that stick in your mind and make you giggle inappropriately long after you’ve finished! I can honestly say that this is one of the funniest books I’ve ever read! An uproarious adventure!! Hilarious page-turner I couldn’t put down. Enjoy it with a glass (or more) of wine. Cheers! Classic tales of hilarity in the wine industry- absolutely ripping ! Brilliant, funny, fabulous… a great holiday read. Go on give it a try! one of the most entertaining books I’ve read in years. A must read for any wino. Hemingway meets Wodehouse! I can’t wait to read it again! Hilarious – self-indulgent spiders made me laugh out loud by the side of the pool! 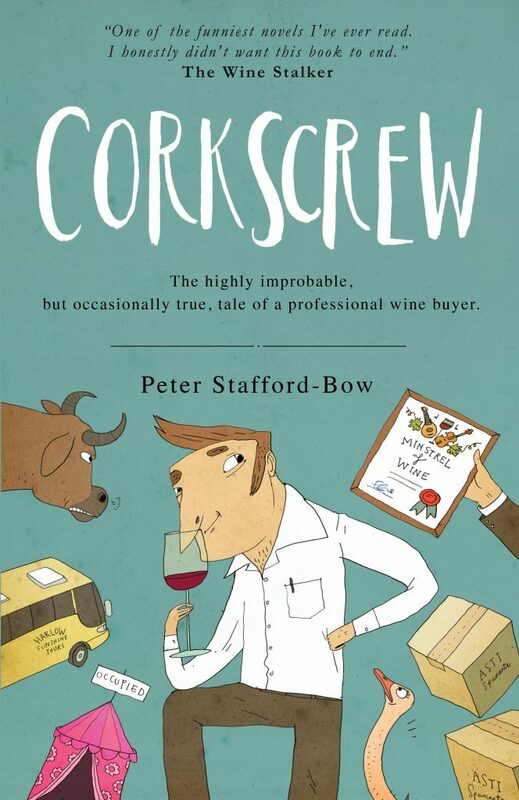 As a lover of wine and satire, I thought this book was absolutely amazing! I didn’t want it to end! Bravo, PSB on your masterful work! Fantastic, a read full of belly laughs. A satire that anyone who enjoys a glass of wine can relate to! Laugh out loud funny, I enjoyed every moment. Highly recommended!